I’ve REALLY been needing to “retrofit” my own “personal life-foundation” throughout the past few months! I’ve been feeling a bit like I’ve been living in the midst of a “life quake”…and my “personal foundation” has felt like it’s in danger of collapsing and definitely hasn’t seemed steady or resilient enough! In support of doing that, I’ve continued to reflect upon, commit to and live those ideas and qualities on the “Well Being” checklist that I compiled last year! 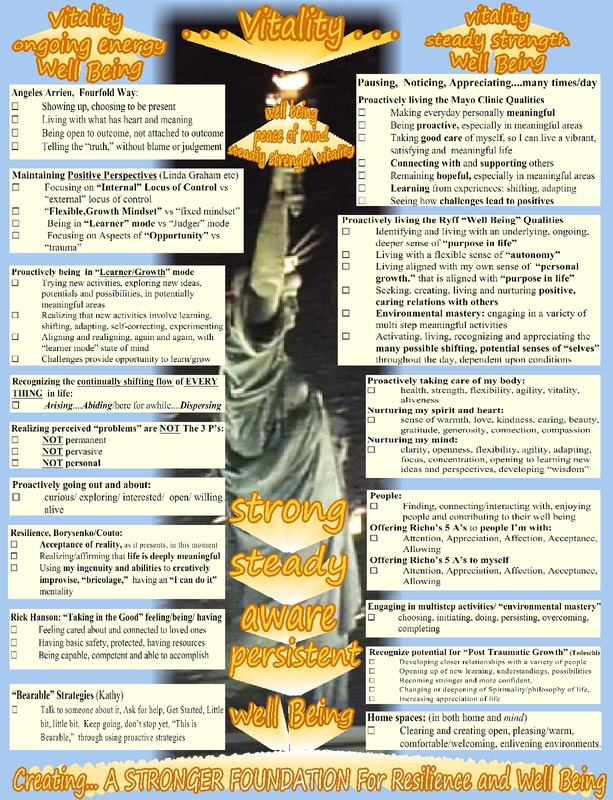 And amazingly enough, using that checklist on a daily basis…and living those qualities on a daily basis… is leading to an increasing the sense of steadiness, stability, strength, motivation, connection, well being and resilience! What a surprise…actually “living” those checklist ideas, qualities and suggestions works! easy to understand, basic and effective! encouraging and inspiring us with… her beacons of light! 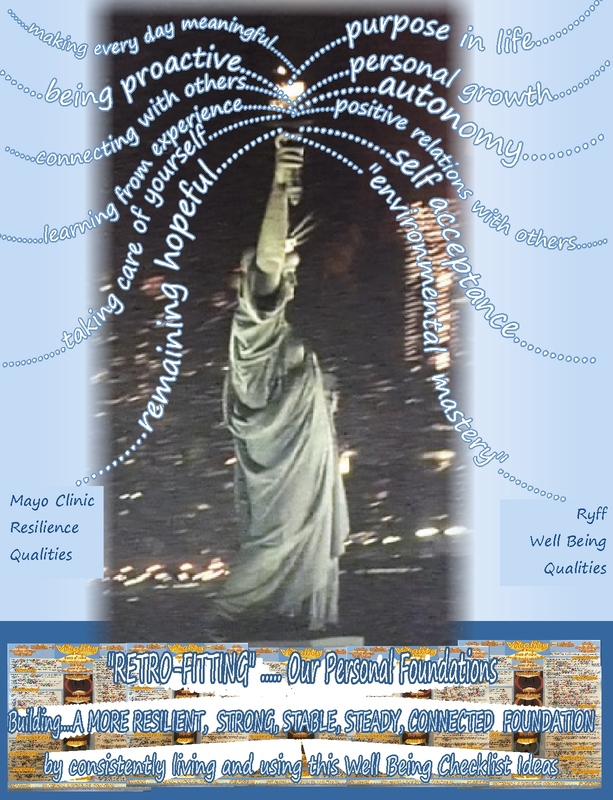 living the Ryff Well Being ideas..
Lady Liberty, strong and steady, encouraging and offering us…beacons of light! Each day, I simply review the Mayo Clinic and Ryff ideas on the Well Being Checklist. I look at and review the other helpful, positive ideas on that checklist, too! I’m learning so much about my deeper senses of motivation, meaning and purpose! I started out using just the Mayo Clinic and Ryff ideas, but I’ve expanded the list over the past year to include a greater variety of positive, helpful, proactive ideas! These ideas have been so helpful for me! Throughout this past year, I had been familiarizing myself with the various checklist ideas and using and living them on a daily basis. And then the election! Thank goodness I was already familiar with and able to access and use these positive ideas! And so now, I’m continuing each and every day to simply committing and re-committing… aligning and re-aligning…with the goodness and strong positive life-potential that is supported through actually living these ideas! 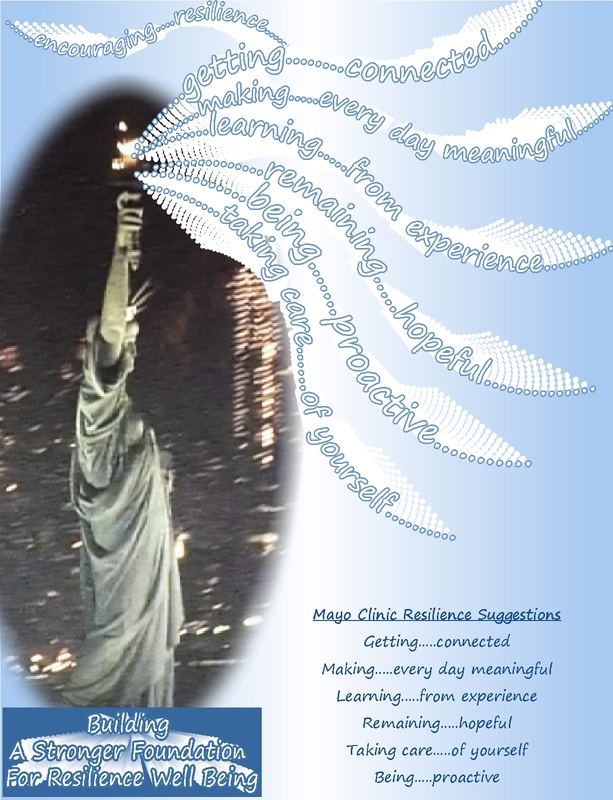 Lady Liberty…standing upon her strong, stable, resilient foundation! Inspiring and guiding us….with her beacons of light! Seeing her standing steadily upon her strong foundation! 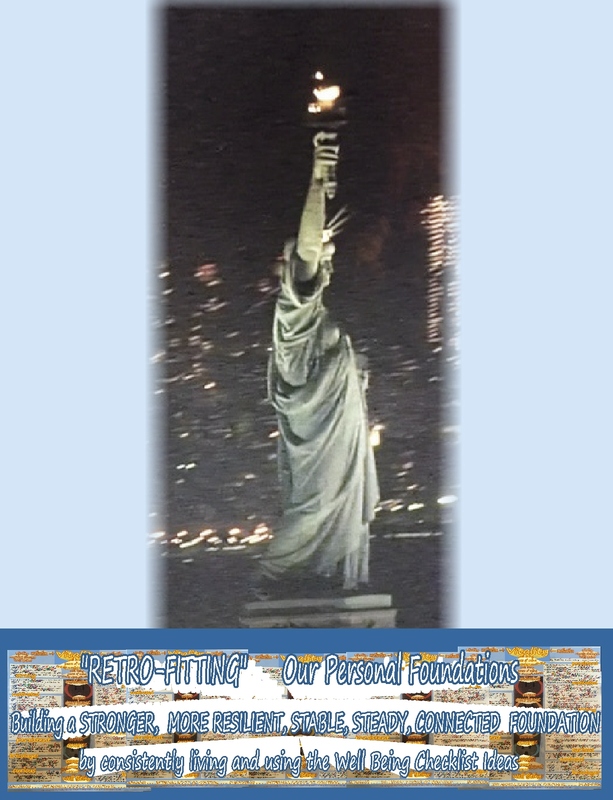 We’re continually able to see…Lady Liberty’s beacons of light! Inspired by… her beacons of light! Guided by… her beacons of light! Strengthened by… her beacons of light! Aligned with the ideas within….her beacons of light! 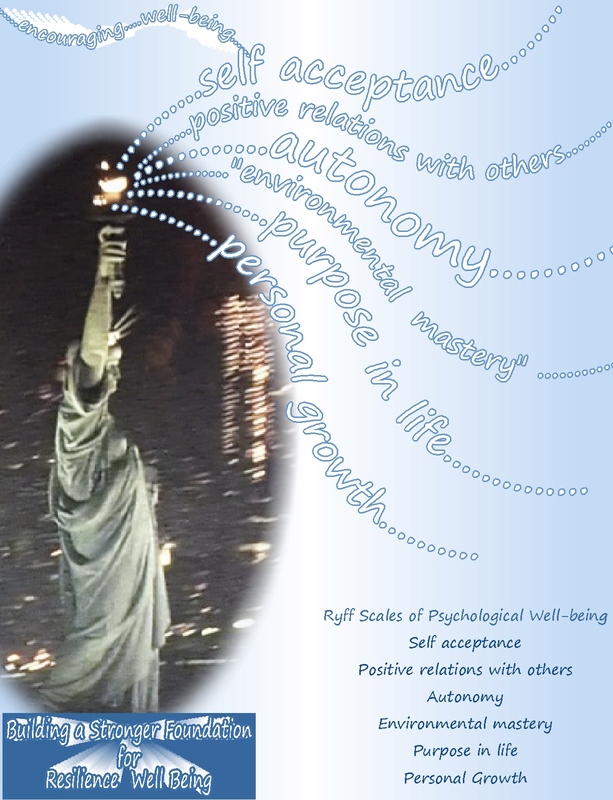 Living the inspirations and principles within….her beacons of light! 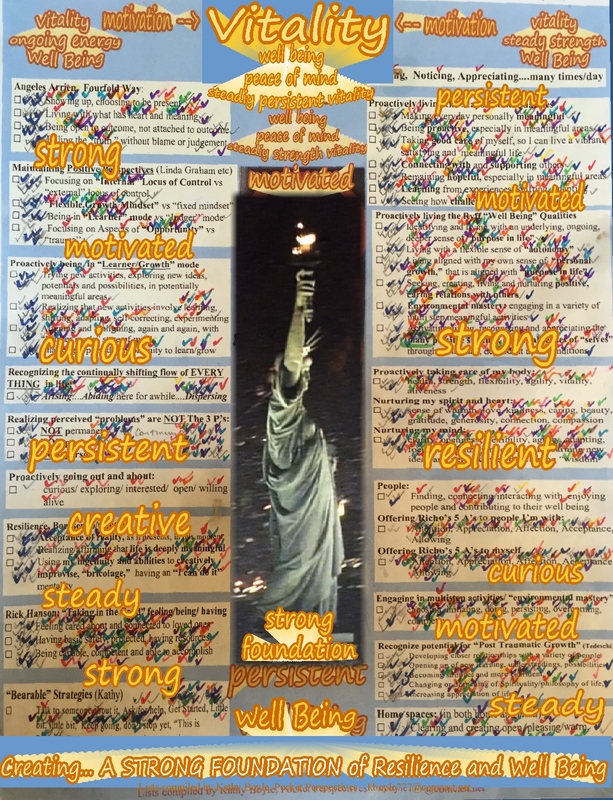 Committed to the goodness of… Lady Liberty’s beacons of light! Living in alignment with…her beacons of light! standing upon a strong foundation…beaming out beacons of light! Lady Liberty….guiding us along our way! 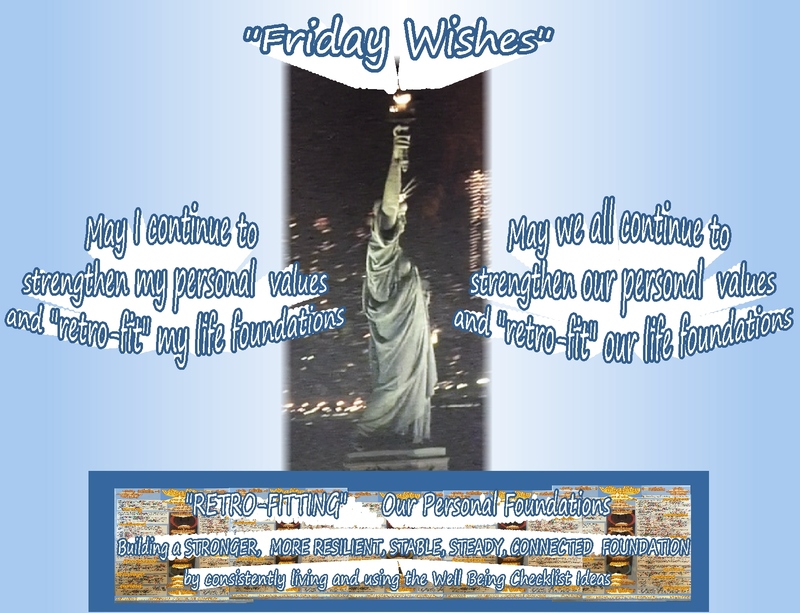 This entry was posted in Encouragement, Life and tagged Appreciation, Awareness, Compassion, Courage, Encouragement, Inspiration, Life, Loving kindness, Mindfulness, Motivation, Spirituality, Strength, Wisdom. Bookmark the permalink.